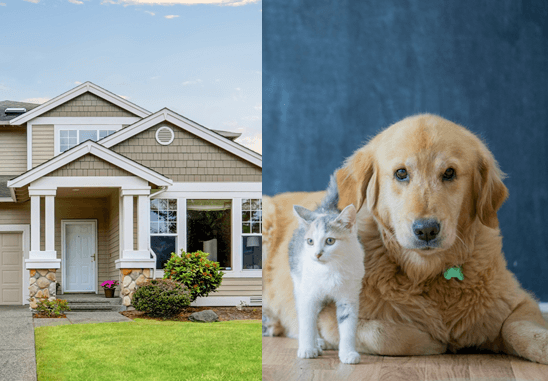 In this post, we discuss how our pet-friendly alarm system does more than protect your property, it safeguards everyone at home — including pets. Motion detectors exchange information to several devices around the house. These devices have an infrared sensor that when interrupted, triggers an alarm. The right home security system will protect your dogs, cats, and other pets. Many people believe they can’t have a motion detection security system in their home because their pets will trigger the alarm. However, that is not the case. Advanced security systems such as those installed by Safe Systems can distinguish between pets and intruders. Motion sensors can differentiate between your dog walking around the house and a person. Safe Systems installs sensor devices at an appropriate and safe height. This technology helps prevent false alarms from being triggered. Safe Systems installs and positions motion sensors that will avoid detecting large pets. Safe Systems offers superior protection that standard alarm systems cannot. Your pet is protected not only by an alarm, but also by a trained professional operator. Neighbors may ignore an alarm, however, our operators are notified of every alarm and depending on the situation will take appropriate action, in contacting you or notifying emergency services. Mobile phone access allows you to monitor your pets and home from anywhere. A video camera allows you to check your pets visually. Fire and smoke detection systems can summon emergency responders when people are away from home. Carbon monoxide detection protects your pets from invisible poisonous gas leaks. Temperature monitoring notifies you the home is too hot or cold. Motion detection can identify intruders to your home. Sensors detect leaks or flooding, which could harm your pet and home if not attended to quickly. Trained Safe Systems operators will promptly contact you and emergency services in real time. We can adapt every system to fit your unique needs. Safe Systems offers a tailored approach that considers your budget in accordance with your security requirements. You receive more than just a product; you also invest in superior customer service. Call us at 1.800.446.7519 for information on mobile security systems and cameras.